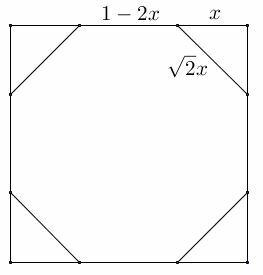 Paul Yiu starts his exciting paper Elegant Geometric Constructions with a construction of a regular octagon by cutting corners from a square. 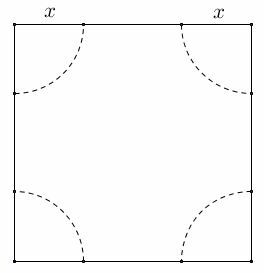 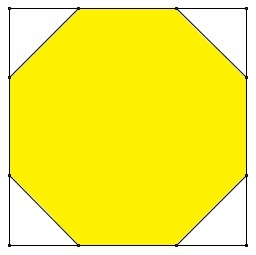 The bigger arcs that pass through the center of the square may also be used to determine the vertices of the regular octagon. 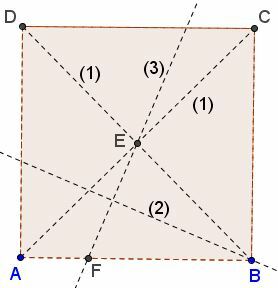 The computation that validate the claim are straightforward. 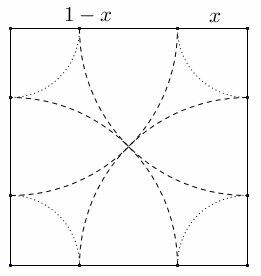 $F$ is one of the vertices of the regular octagon, because $BF=BE.$ The other seven could be obtained by repeating the above steps or by folding $F$ into the required positions.